If you spend some more cash on quality equipment, you will immediately spot the differences in both appearance and strength. Besides a high-quality tent, you’re going to need durable pole tent equipment that will have the ability to withstand the tent’s weight and height. Today’s pole tent models, that are usually aluminium or fiberglass, offer lots of benefits for campers, so they can be extended or go with a twist lock. And since location and weather are key factors to successful camping (and we still don’t have the power to change weather), we can at least make sure the tent structure doesn’t get damaged. 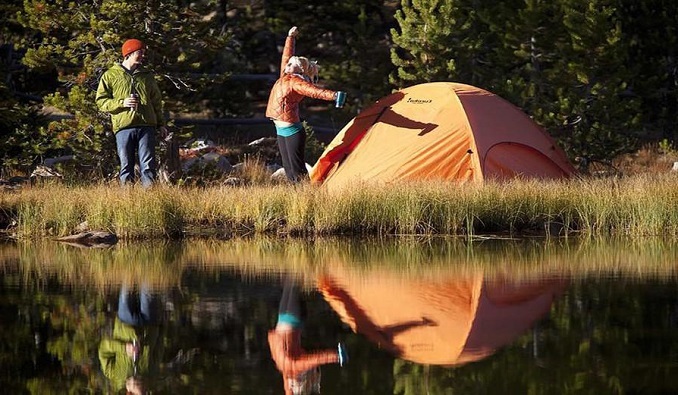 A feature you should definitely consider when looking for your tent is the size. Obviously, size matters, especially when it comes to tent camping, so most backpackers generally opt for bigger and more spacious tents. A great tent should be portable, easy to set up and of course, it should include more than just shelter. The size and width of the tent are definitely important factors for a comfortable camping trip, so make sure that when you go tent shopping you have in mind the number of people who will be sleeping inside it. This portable vacation home should suit all your needs, which means it should be comfortable enough for sleeping, napping, hanging out and reading. Also, make sure that all your camping equipment, especially the tent and the sleeping bags, are waterproof. Although everyone’s perfect camping experience means sunny days, some light afternoon breeze and cool evenings by the fire, don’t let unpredictable rain storms destroy your relaxing weekend getaway. With a cheap, single-use tent you might end up experiencing a miserable camping trip, however if you go with a quality one, you’ll be able to experience the beauty of camping worries-free.